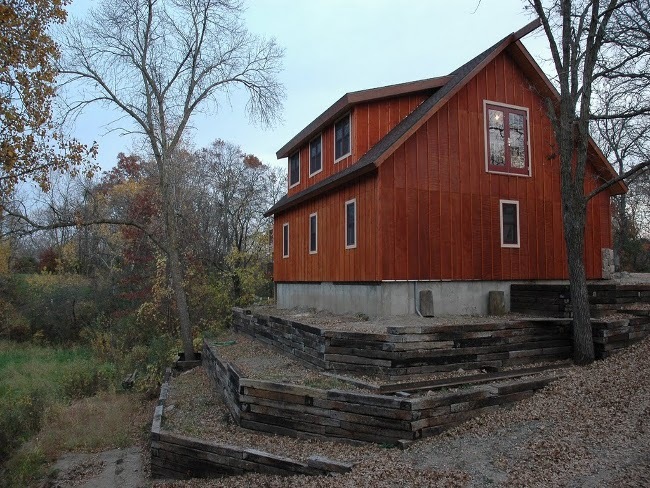 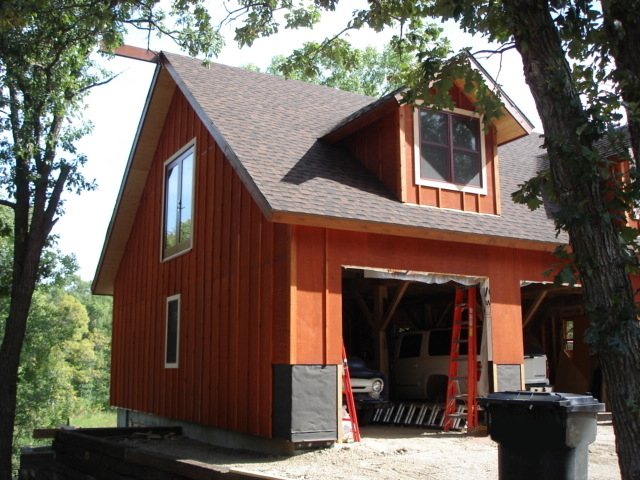 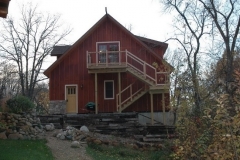 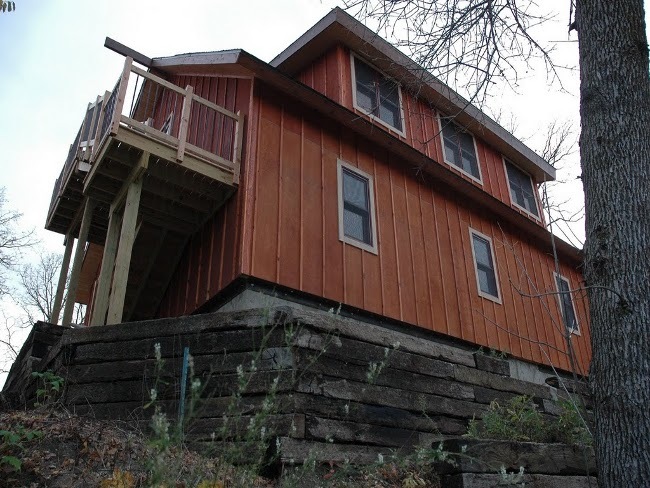 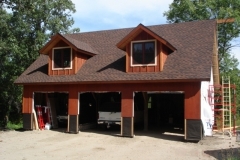 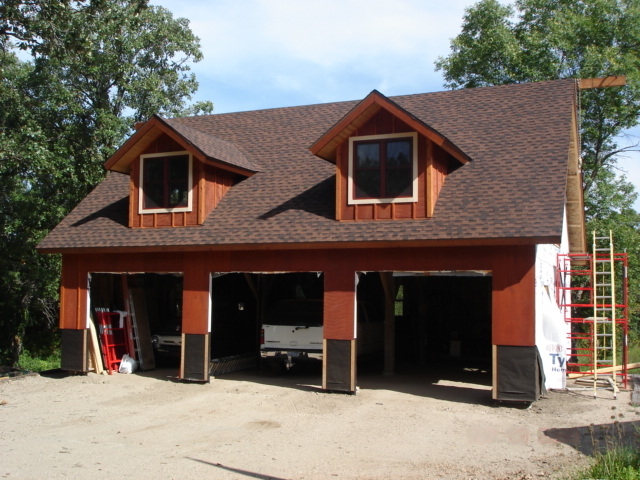 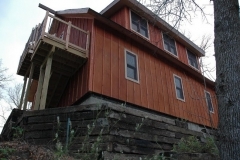 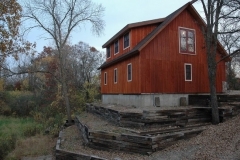 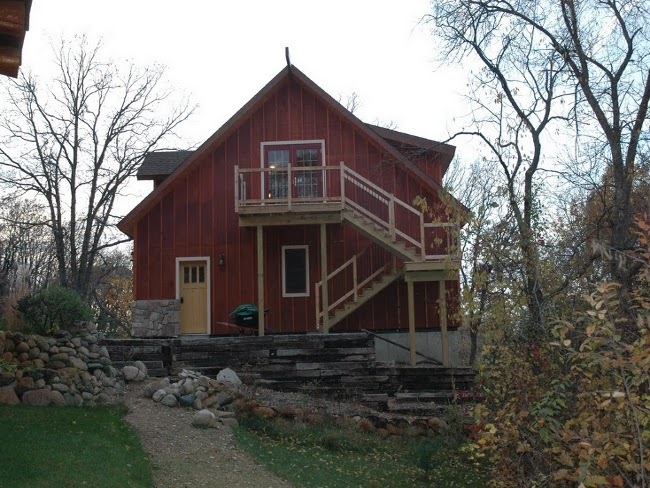 The owner of this project needed an office and a garage to compliment his log home. 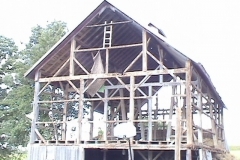 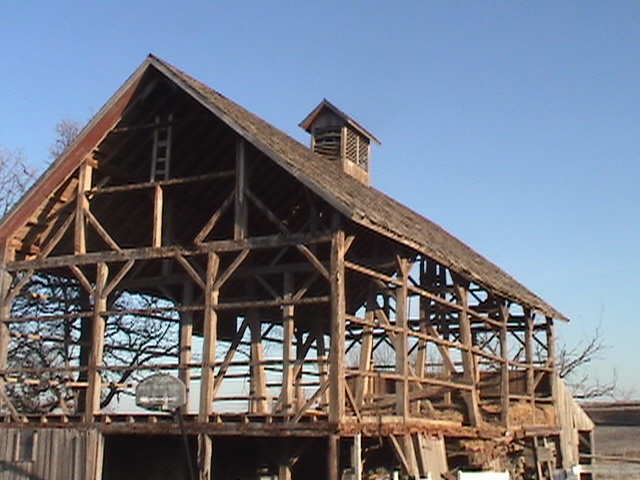 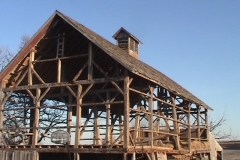 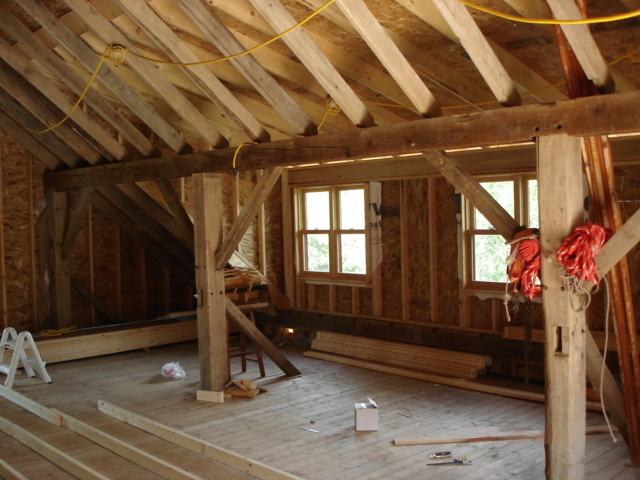 A hand hewn timber frame barn was chosen for this conversion for its hardwood timbers and rustic charm. 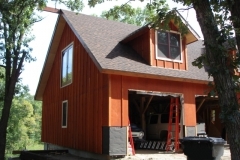 An exterior stud wall was used for the enclosure method allowing the owner the opportunity for greater sweat equity savings. 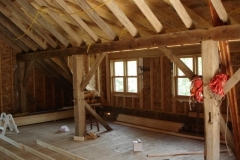 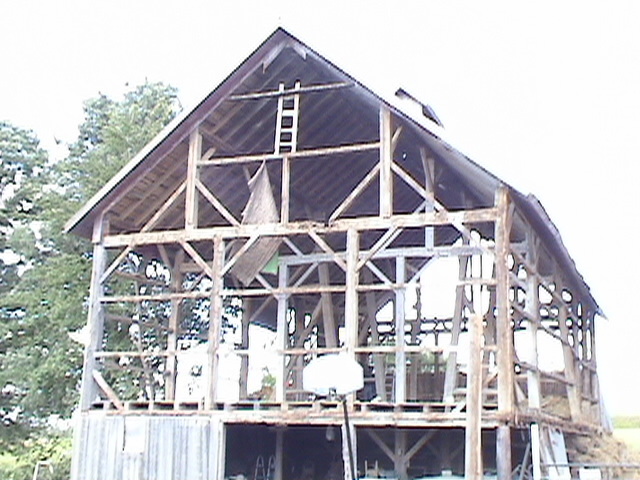 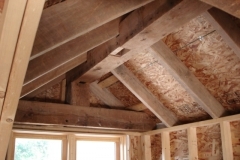 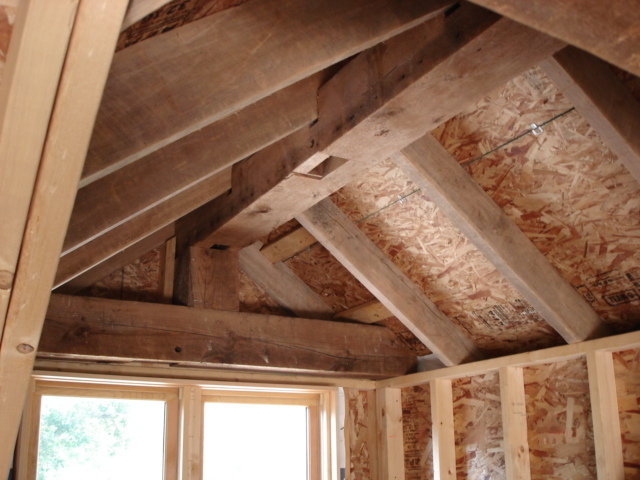 The original rough sawn timbers were used for the floor joists and rafters and dormers were added for more natural light and extra floor space.